Today, almost every business and individuals have realized the importance of Instagram and its effectiveness. Which means the competition is tough and it is not easy to make your content stand out. In order to get Instagram followers, your account should look cool and unique. Posting simple images on your Instagram is not enough today. Instagram is not only for sharing images now. There are many different strategies that you can use to make the most of this social media platform. Making efforts on content (image editing, video editing etc.) could have been time-consuming. Thanks to the 3rd party apps, not only the time are saved but the content becomes more attractive, resulting in more users getting engaged with your posts. The good thing about these apps is that most of them are free. Although, there are various built-in filters and editing features in the Instagram yet they are not near to the features offered by the 3rd party apps. Customized filters give your image a different and better look. You can try Canva (iOS), which is a free app for creating completely unique filters. It allows you to create beautiful designs using hundreds of templates. Moreover, VSCO (iOS and Android) is another free and great app for applying filters to make your images look unique and different. Collages on the Instagram feed always catches the attention of the users since it looks different from the normal images. You can make your own combination of up to nine images to make your collage look unique. Short and funny animation or videos that loop is yet another thing that users enjoy and share if they love it. For lower resolution short looping videos, Phhhoto (iOS and Android) is available. Similarly, for higher resolution looping videos, we have Boomerang (iOS and Android) which is also Instagram’s official app. Both the apps are free, easy and fun to use. Instagram users love time lapse videos on their feeds. Among all images and videos, it looks way different. Hyperlapse (iOS) is one of the best apps to create time lapses. You can speed up and slow down your videos. The app stabilizes your shoot which gives your footage a cinematic feeling. With this app, now it is possible to create excellent time-lapse videos from your smartphone without any other expensive equipment. The timings of your Instagram posts are very important. You will never like your posts reaching to less number of people. Hence, one must post at the time when most the followers and targeted audience is active on Instagram. Now, it’s not very easy to be always active on those required hours. And of course, you cannot afford to miss your postings as well. Fortunately, now we have some great apps available for scheduling the posts at the given times. Schedugram app is available on Android and will be available for iPhone users in future. You can schedule your posts and it can post it to your Instagram itself. The app also notifies you after any schedule post is posted. Similarly, TakeOff (iOS and Android) is another cool app that can not only schedule your posts but also calculates the best time when your most of the followers are active. Which means the majority of your followers can engage with your content. It is important to have insights and analytics of your account. You should know how many followers you have gained and how many people unfollowed you. It can help you analyze whether you are going on the right track or not. It can also help you out in identifying what kind of content do your followers like to engage with and what content are your followers are less interested in. All of the above information can be provided by Iconosquare (iOS and Android). It is one of those apps which can access exclusive Instagram analytics. In addition, it also has a post scheduler feature. You can manage multiple accounts within this single app. The app has a subscription fee but offers a free trial for a limited period. This investment can help your account to grow if utilized smartly. A powerful and share-worthy caption can make your Instagram post eye-catching. But it is a little bit difficult to come up with such relevant caption. Here is where Captiona (iOS) is going to assist you. This free app contains a list of sayings and catchphrases. You can select a caption that you think suits the most and add with your post. These apps not only reduce your efforts but also improve the quality of your content. In addition, there are many alternate apps available for a specific purpose. 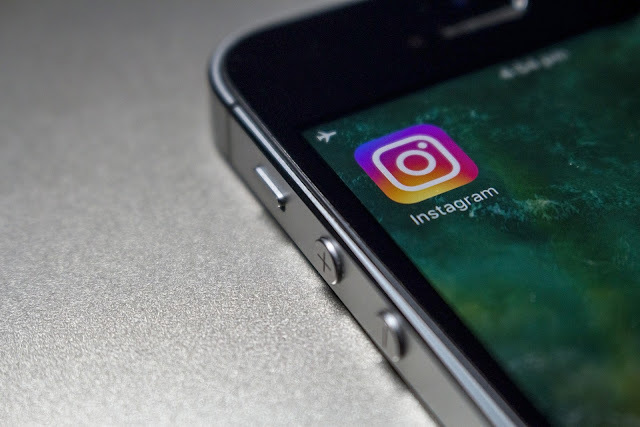 An effective marketing strategy and proper app utilization will allow you to shine on Instagram and get more popularity.